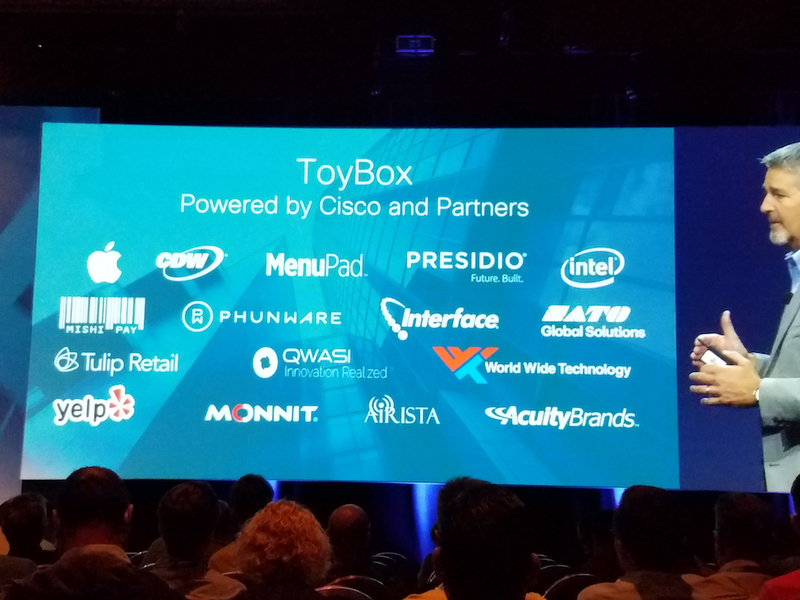 QWASI is excited to once again be working with Cisco as a partner to activate the award winning, Cisco ToyBox Experiences. ToyBox is a fully functional toy store featuring solutions for seamless experiences among shoppers, store associates, managers, and IT teams that is featured at some of the world’s biggest conferences like NRF: Retail’s Big Show. The ToyBox demonstrates how Cisco and their partners help make the entire retail tech stack possible. QWASI enables customer acquisition, communication, and loyalty, while CMX beacons enable a “customer” to navigate to a particular item in the store on their mobile device. RFID tags automatically notify “store associates” when shelves need to be restocked, and dynamic signage changes as “customers” engage with particular products. These are just a few of the more than 20 retail technology solutions highlighted in the booth. This kind of digital transformation enables retailers to operate seamlessly with automated information communicated in real time – creating significant operational cost savings. For customers, convenient shopping is critical. With many shoppers buying online, seamless, digital, in-store experiences will keep bringing customers into brick and mortar spaces.